Austin is known as the Live Music Capital of the world. There is a saying here that if you throw a rock, chances are you will hit a musician. In fact, I am married to one. 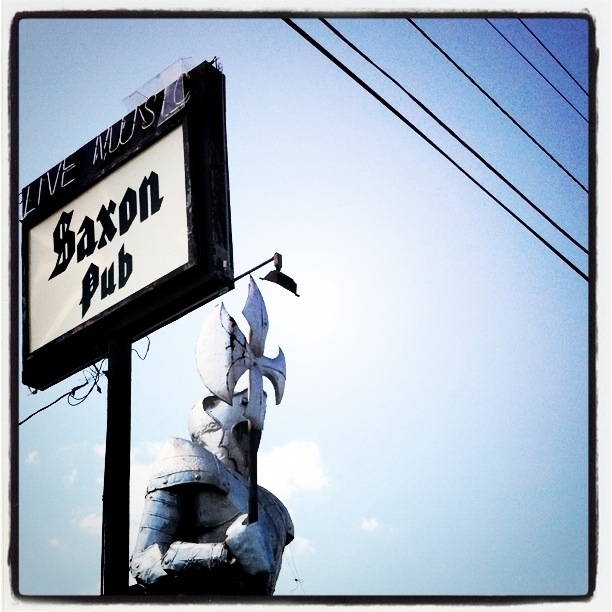 There are many long withstanding venues here in town, many “icon” worthy… but Saxon Pub is very hard to miss with the giant Knight in Armour standing guard; keeping watch of all the music lovers and it’s deep, rich history. Many Austin music icons have graced the stage with their rhythms and lyrics, filling the onlookers ears with truly great music.